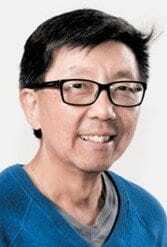 Foon Rhee last week introduced himself as the new executive editor at the Sacramento News & Review. He had been associate editor and editorial board member at The Sacramento Bee since 2010 and previously was a reporter for The Charlotte Observer and an editor for The News & Observer and The Boston Globe. Eric Johnson, SN&R editor since July 2017, left the company this past August.